"Upon completing (and before publishing his first, unsuccessful novel) Precaution, Cooper began a new, more innovative and ambitious novel with an American setting and a patriotic theme: The Spy. Assuming the daunting 'task of making American manners and American scenes interesting to an American reader,' Cooper elaborated upon a story John Jay told of a selfless American spy active in bitterly contested Westchester County during the Revolutionary War. Published in December, Cooper's second novel proved instantly and phenomenally popular. Although highly priced at $2 apiece, the first 1,000 copies sold out within a month. By the end of the year, bookstores had ordered and retailed at least 6,000 copies, and Cooper had reaped royalties worth nearly $4,000 -- an extraordinary success for an American novelist. A popular play based on The Spy began a long run in New York City in March 1822. "[Cooper] became the single most influential American writer of the early nineeenth century. In particular, Cooper created the stock characters -- the noble but doomed Indian, the resourceful frontiersman, and the loyal slave -- as well as the favorite settings, especially the violent frontier, that characterized most historical romances through the nineteenth century and into the twentieth. 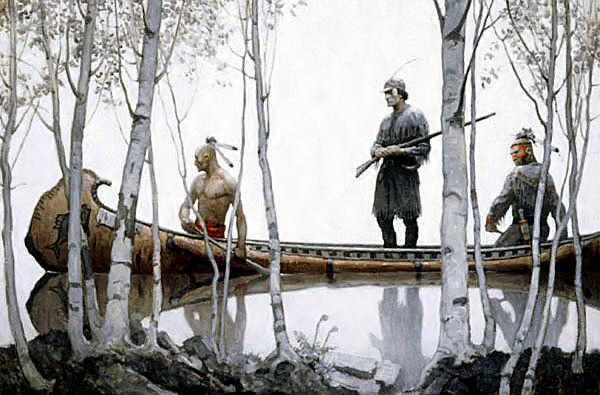 In Harvey Birch of The Spy and Natty Bumppo of The Pioneers, James Fenimore Cooper created the essential American hero of innumerable novels, stories, and films: the socially marginal and rootless loner operating in a violent no-man's-land beyond the rule of law but guided by his own superior code of justice. Whether imitating or deriding Cooper, his rivals and successors could never escape the long shadow of his most popular romances, could never fully transcend the expectations that he planted in the minds of their readers."